Apartment is situated on the first floor (95 m2) with a balcony facing SW (19m2) with a garden and a playground. Apartment is situated in the attic (90 m2). Ideal place for first skiing in season. Accomodation is very good, clean and practical. Ratio of quality/price is unrecheable in the Otztal valey , I have been here in Otztal 7 times already. Julo & Zuzana – owners, did all the best to fill our needs. Thanks for perfect holiday. Haus Attos fulfills all wishes for trip of young people. 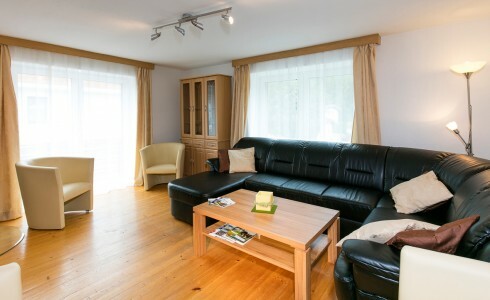 One apartment is large enough for big group and they are also fully and modern equiped. Julius and Zuzana are very friendly and kind hosts. And nature… Oh, it is something awesome! Accomondation was excellent! We spent there 5 days. This part of Austria especially this valley is beautiful. Solden ski resort is not far, Julius and Suzan were very kindly, appartment was nice and cozy. We recommend it for families with childrens. We spend 5 days in the renewed apartment with my friend. The Haus changed former owner and Zuzana with Julius are the new happy and helpful hosts. Zuzana is fan of healthy cuisine. She can prepare sushi for you (wueeey, good to know if you are fed up with schnitzel), morning smoothie or simple breakfast (upon agreement). There is a playground next to the Hous, so next time I will take my kids with me. The place is great for walking, hiking, cycling … We just loved to look at the mountains and all that green around us. 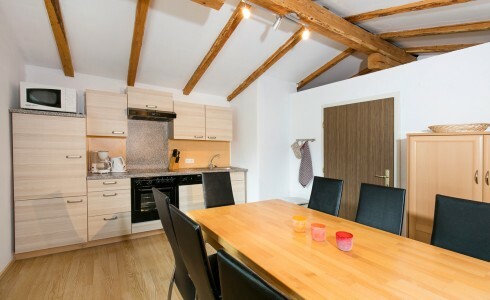 The apartmens in Haus attos are perfect for bigger group of people – friends or families with children. The place is clean, the owners are very kind and helpful. They truly fullfilled all our expectations. The apartments looks like on the presented pictures. And the high hills, nature, skiing…. brilliant. Perfect place to stay during the whole year. Want to relax? Contact us!